Swaddling has been a common practice to keep this reflex at bay. It’s very useful to let your baby sleep through her naps or through the night without shouting or crying. It’s the art of snugly wrapping your baby in a blanket for warmth, security, sleep promotion and to prevent a full-blown startle or Moro reflex. 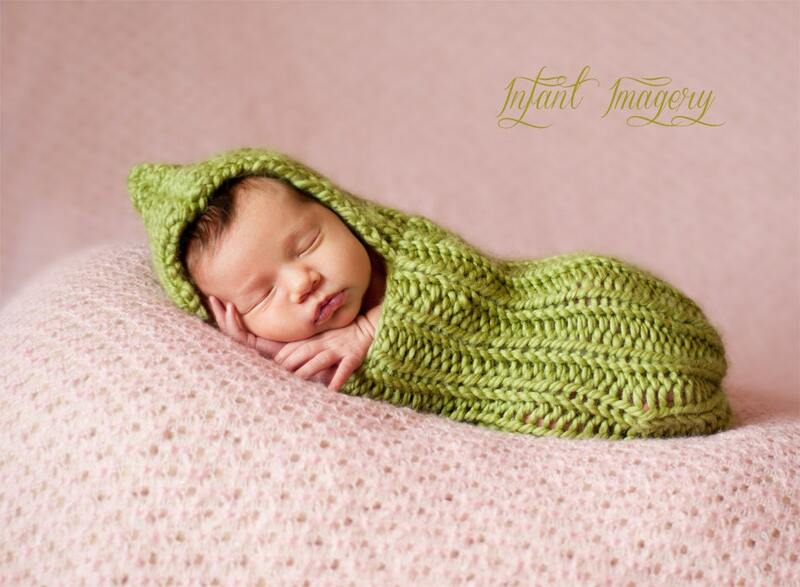 A blanket or a special swaddle cloth wrapped around your baby’s body can resemble the mother’s womb. It helps sooth your baby and if it’s done correctly, it’s an effective technique to promote sleep and calm a baby. If your baby fights swaddle, there are some other ways to help her sleep. While there are no guarantees, I’ve rounded up 9 sleeping solutions that can help your baby, and of course, yourself too, get enough sleep at night. When you newborn hates being swaddled, just leave her arms out. Simply put, some babies hate the idea of being restrained. When you swaddle, the perfect way is to not let the elbows bend. However, your baby may resist this, causing her to be fussy and irritable. Try letting one or both of her arms out. This will give her the feeling of a little freedom from the swaddle. Sleep sacks are good alternatives to swaddling. There are many types of sleep sacks – those with the arms out and those that restrain the arms inside them. Sleep sacks keep your baby cozy and reduce loose bedding in the crib. These will help your baby stay warm and snug during the night, while safely providing a little room to move. A sleep sack is easier to use than a swaddle or blankets. It’s a bag-like clothing that zips up to keep your baby from wiggling out. When your baby hates swaddle but can't sleep without it, one of the alternatives you could try is to wear your baby down. This technique will provide your baby the sense of being inside your womb, being carried around. After your baby is fed and ready for bed, you can place her in a sling carrier and wear her around the house. Once your baby is asleep, that’s the time you can put her in her crib. Some babies fight swaddle but won't sleep without it. When this is your problem every night, try other alternatives to put her to sleep. Babies often settle to a rocking motion and this helps them sleep faster. Try rocking your baby to sleep by carrying her as if she’ll nurse. Hold her against your chest and sway your arms or rock back and forth. If your baby feels the motion, she’ll feel comfortable. This motion reminds her of how it was inside your womb as you move around. When all these fail, you can put her in a baby rocker that plays lullabies and moves to rock her to sleep. Sometimes, your baby fights swaddle but need sleep. One alternative to promote sleep is through music. Music during sleep benefits child development in various ways. Aside from this, it aids in sound and comfortable sleep. Playing soft background music before bed or during naps improves sleep quality and duration. The relaxing effect of the music calms the nervous system, which leads to slowed heart rate and breathing. These can induce sleep. You will find it easier to put her to bed without startles and discomfort. Moreover, massaging your baby after her bath will help her relax and eventually, doze off. You should develop a routine or rhythm during nap or bedtime. For instance, you can let her have a warm bath first, nurse her and then put her to bed. This will help develop a routine she’ll be familiar with. Pleasant bedtime routines ease the transition from being awake to sleep. This helps your baby feel more comfortable and secure about what they can anticipate at the end of the day. Try to make a predictable sequence of activities and make them as consistent as possible. Infant massage has been practiced for centuries, across many cultures. Massage promotes relaxation and sleep. Aside from these, massage has many health benefits. It improves digestion, relieves stress or tension, increases mother-baby bonding, and improved growth and development. Massaging your baby help babies sleep well and they can fall sleep faster. Various studies have shown that if parents massage their babies, they fall asleep faster and stay asleep longer. It’s important to practice the timing on when to put the baby in her bed or crib – when she’s drowsy or asleep. Babies who drift off on their own are more likely to learn to soothe themselves to sleep. To do this, put your baby on her bed when she’s drowsy to near-sleeping, just before she dozed off. Moreover, when your baby wakes up, wait a little longer before going to her room. If you jump at every noise you hear over the noise monitor, you’re just letting your baby wake up more often. She knows that when she wakes up, you’ll be there at once to soothe her. However, learn the timing of reaching her before she escalates into a full-blown cry. Once she’s fully awake, it will be very hard for her to fall asleep again. ​Sleep is important for your baby’s growth and development. It aids in promoting overall health and energy for her to learn new things. ​One of the hard parts of being a mother or a parent is letting your baby get long and quality sleep, especially when your baby hates swaddle. Hence, these strategies and sleeping solutions will help you learn the art of putting your baby to sleep. When your baby sleeps better, you will notice that she’ll be more patient, tolerant and engaging. ​I am very amazed at how many sleeping solutions you could do to help your baby sleep well. I hope this article helped you in any way. I hope you learned a lot from this article and if you’re interested to learn awesome newborn tips, then you’re in the right place. I try to provide you with all the answers you need when it comes to putting your little one to sleep even without the swaddle.